Stop Drop Robot Are Back! When one of Sheffield’s most loved and respected bands Stop Drop Robot announced their retirement in March, the city mourned their loss. But on October 7th, Stop Drop Robot will release their final masterpiece. 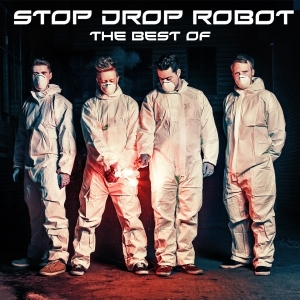 Correctly titled ‘The Best Of Stop Drop Robot’, their final album will contain all the old fan favourites, from Lay It On Me and Cradle, to Maps, Cerebral Eviction Notice and many more. 12 to be exact. The compilation album will also contain two, yes two, brand new tracks never before heard by the public, and considered by the band to be their finest work. The album will be available to pre-order from iTunes on the 23rd of September for £2.99, with an instant download of one of their brand new tracks entitled ‘White Light’. But if you cant wait until then, here’s a Free Download of ‘Tomahawk’. Aren’t we kind? Stop Drop Robot. 2013 – 2016.